We have a limited amount of physical DVDs available for mail order purchase for episodes 1, 2, and 3. For more information please contact us. In this episode of New England Legends, we explore the castle of inventor John Hays Hammond, Jr. who experimented with everything from remote control to séances; we dance the night away at Madame Sherri’s castle ruins near Brattleboro, Vermont; and we go in search of Connecticut’s Leatherman – a leather-clad vagabond who traveled an endless route between the Connecticut and Hudson Rivers. Note: this episode is only available digitally from the source below. 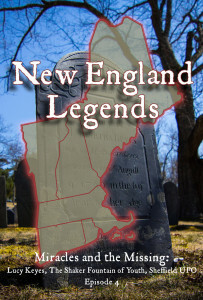 In this episode of New England Legends, we search for the spirit of a child who went missing near Mt. 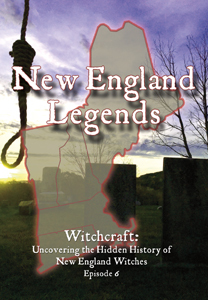 Wachusett over 250 years ago, we test the claims of an 1880 advertisement for water that promises eternal life, and we examine the evidence and story behind one of New England’s most well-documented UFO encounters in Sheffield, Massachusetts. We’re on a quest for miracles and the missing. 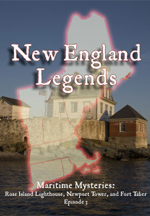 In this episode of New England Legends, we dive into the ocean waters of southeastern New England to explore the lonely and haunted Rose Island Lighthouse off the coast of Newport, Rhode Island. Then we head to shore to ponder an ancient and mysterious stone tower with possible connections to the Knights Templar. Finally, we trek up to New Bedford, Massachusetts, to investigate the haunts of abandoned Fort Taber/Fort Rodman. 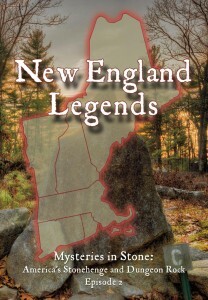 In this episode of New England Legends, we head north of Boston to explore America’s Stonehenge, a 4,000-year-old mysterious calendar in Salem, New Hampshire, then head south to Dungeon Rock in Lynn Woods on Boston’s North Shore to investigate a tale of pirates, buried treasure, and Hiram Marble, a man who spent his life tunneling a cave through solid rock because spirits told him there was gold to be found. But did he find it? Is the gold still there today? 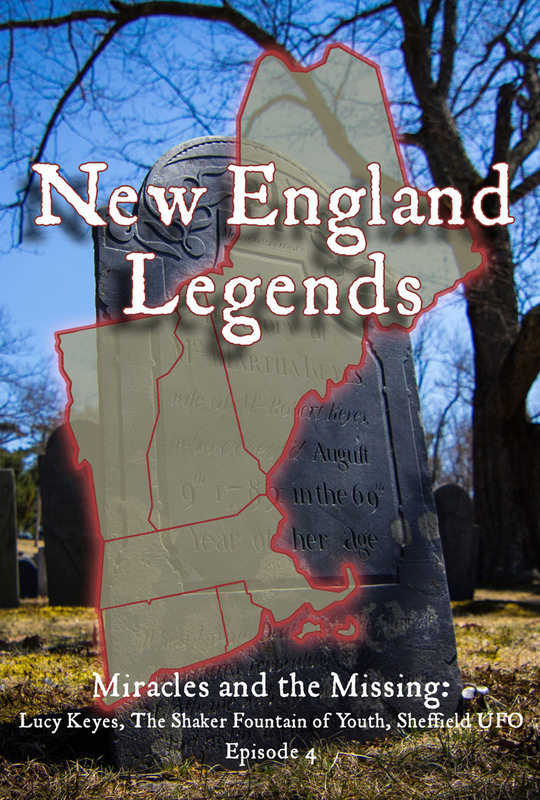 In this episode of New England Legends, we explore the tragic history and active haunts of the Houghton Mansion in North Adams, Massachusetts. 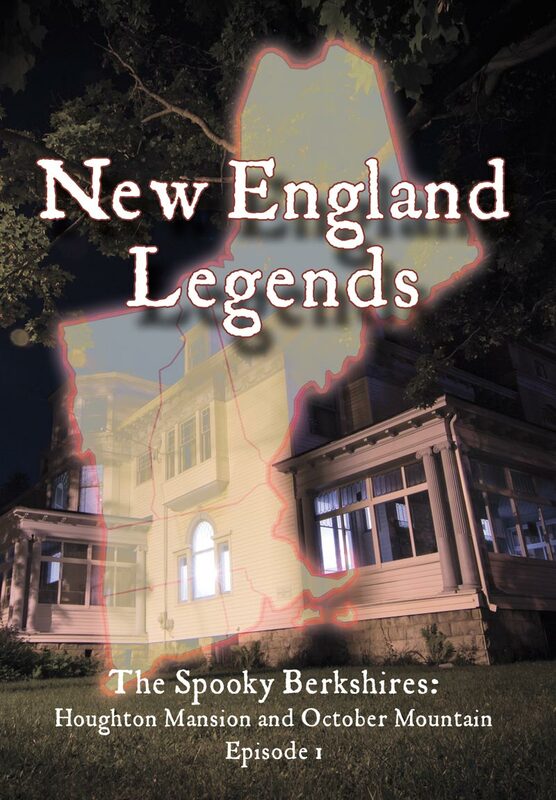 Then we trek up October Mountain in the Berkshires to delve into the stories of Bigfoot sightings, UFOs, and the ghost of a young girl said to haunt an ancient cemetery lost somewhere in the woods. I can’t wait to see the show, Jeff! Wishing you the very best of luck with it. By any chance are you planning one of these for the Borden Home? It was great meeting you there! Congratulations on your Emmy nomination friend…Your Texas connection looks forward to seeing you in September at FantomFest!! Continued blessings buddy – the show looks amazing can’t wait to watch them!! Hi Jeff I enjoy your newsletter and I know you are with Ghost Adventures. I cannot wait for the Halloween Special in Ireland. Do you think you will ever be coming to Georgia, USA? I would love to go to one of your talks. I really enjoy Jeff’s observations on those in spirit. He really brings a sensitivity to his investigations that shows respect to those he’s trying to contact. I love these newsletters as well. I own this set in my library and I am surprised how often I watch them. 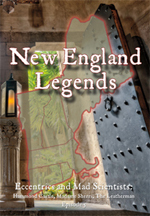 They are well researched and professionally produced. It captures the concept of legend tripping perfectly. 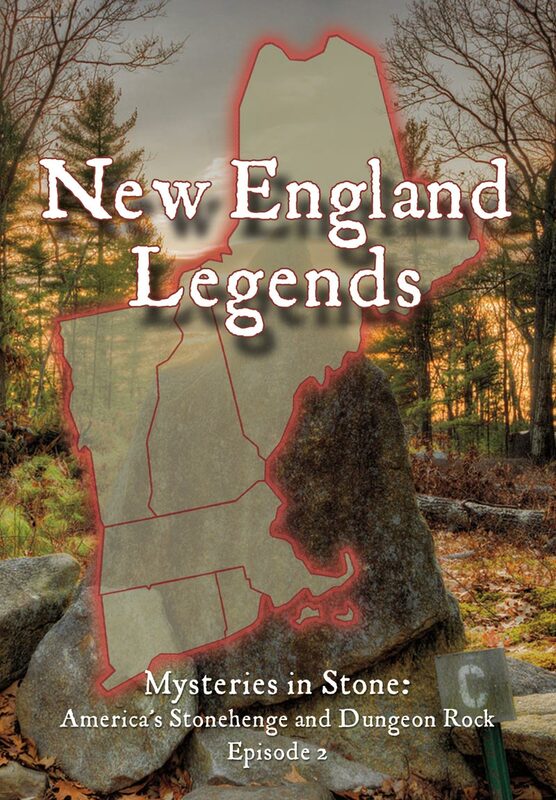 I can’t recommend them enough. ENJOY! I love all the hauntings.. just went to fort mifflin in philly.. it was awesome.. got some great pics… will have to leave them on here for u to see…. thanks a bunch..
His dad told him to go where he would be happy. So I can buy actual DVDs or am I buying downloads?